Yak butter flowers are an unique form of Tibetan sculptural art. Using yak butter as the ingredient, the art form creates designs including characters, flowers, trees, birds, animals, and more, and has had a long history. 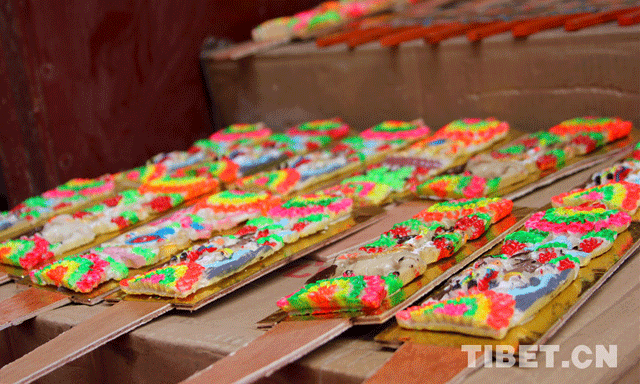 During the Tibetan New Year(also known as Losar), Tibetans like to put tsamba and roasted highland barley into a chima box, then add colored highland barley flowers, representing harvest, and yak butter flowers, symbolizing harmony, on top of the pastries. 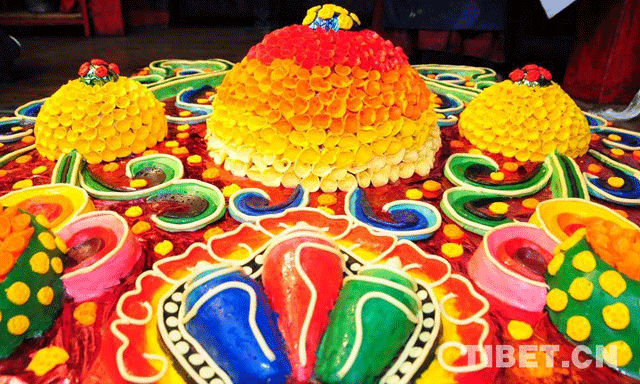 Yak butter flowers are known for their intricate design and their vivid and realistic images. The designs include the auspicious Four Animals, the Lucky Eight,etc. 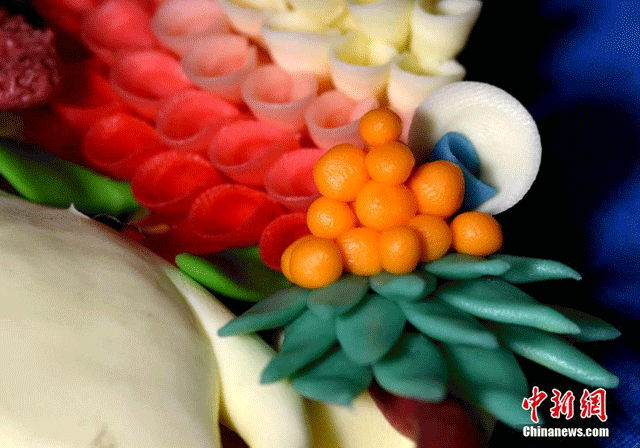 Yak butter flowers are created in a four-step process, first, making the skeleton, then molding, sculpting, and finally, setting in the plate. Before the process starts, pure yak butter is mixed with mineral colors to create all kinds of patterns and shapes, and is then followed by other steps. For skilled artisans, making yak butter flowers is more than a traditional art form, it is “magic from the fingertips,” it can create all sorts of images and holds endless allure.